Cymbidium Orchids are often referred as the boat orchid, this beautiful flower is the purest representation of ecstasy and sexiness. It has been thought of as an aphrodisiac since far back as the 17th century, where the consumption of its tuber was believed to provide the ability to bear many children. Commonly found it tropical rain forests, orchids have been found in fossils which date them back to the dinosaur age. This gorgeous flower is an excellent wedding flower choice to be used in elegant corsages, as its size and look is perfect. 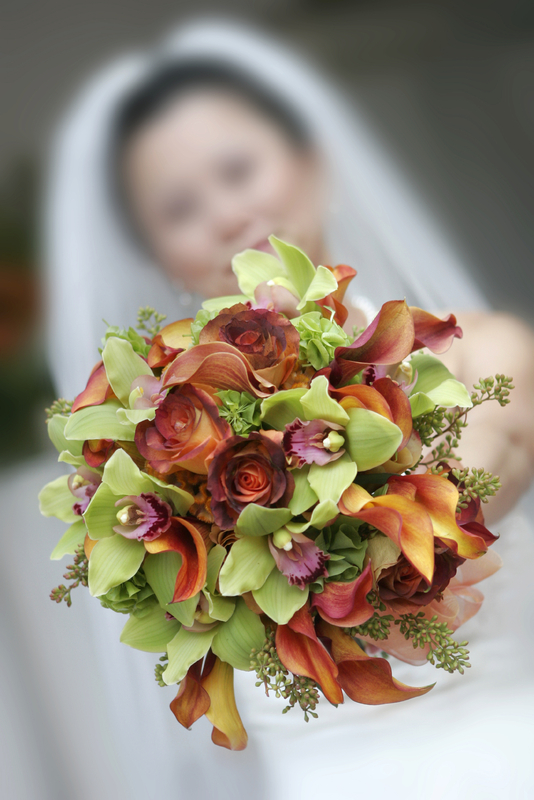 It is also a great addition to wedding bouquets, table centerpieces and flower arrangement. These magnificent flowers are available in the following colors: burgundy, green, hot pink, light pink, white and yellow. Bicolor white and pink as well as white and yellow are also available. Cymbidium orchids feature several blooms per stem. Each bloom measures 2 to 4 inches in diameter. Orchids should be delivered two days before the event. If your event is held on a Saturday, these flowers should be delivered on Thursday before the event. Cymbidium orchids are available year round. Overnight delivery is available at FiftyFlowers.com if the orders are placed by 1pm. Fiftyflowers.com offers one convenient package which includes 10 stems. As Cymbidium orchids are shipped in full bloom, there is no need to receive the flowers many days in advance for opening purposes. These flowers will be shipped with water tubes, which will provide enough hydration while travelling. If you like, you can leave your flowers standing upright with the stems in water in the water tubes until you are ready to design the flowers. Cooler temperatures will harm these flowers, and for this reason, refrigeration is discouraged. You can purchase these wedding flowers at www.Fiftyflowers.com.